With Hollywood Game Night, NBC’s recalling the days of classic game shows when celebrities would be teamed with regular people to try to win the latter big money. Will the series be a big ratings winner? Will it be cancelled or renewed for season two? We’ll have to wait and see. Final season averages: 1.2 rating in the 18-49 demographic with 3.70 million total viewers. 1.0 in the demo (-17% change) with 2.82 million (-21% change). Season averages: 1.20 in the demo with 3.70 million. 1.2 in the demo (0% change) with 3.58 million (+5% change). Season averages: 1.23 in the demo with 3.82 million. UPDATE: NBC has renewed the series for a second season. 1.2 in the demo (+9% change) with 3.41 million (-5% change). Season averages: 1.23 in the demo with 3.86 million. 1.1 in the demo (-8% change) with 3.58 million (-13% change). Season averages: 1.24 in the demo with 3.95 million. 1.2 in the demo (-8% change) with 4.12 million (+7% change). Season averages: 1.27 in the demo with 4.04 million. 1.3 in the demo (+8% change) with 3.85 million (-2% change). Season averages: 1.30 in the demo with 4.02 million. 1.2 in the demo (-14% change) with 3.92 million (-9% change). Season averages: 1.30 in the demo with 4.11 million. 1.4 rating in the 18-49 demographic with 4.29 million total viewers. Season averages: 1.40 in the demo with 4.29 million. What do you think? 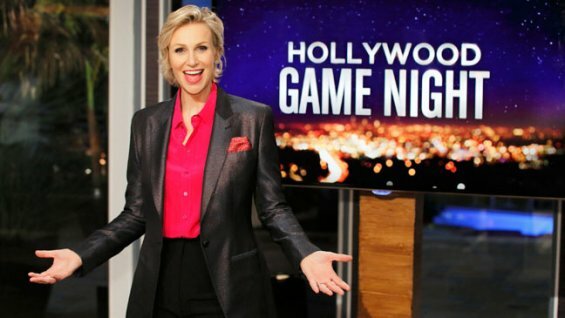 Do you like the Hollywood Game Night TV series? Do you think it should be cancelled or renewed for a second season? Cancel it. Jane Lynch is too loud. I actually like it for the most part. There have been a lot of bad games shows and this is not one of them. I do wonder if this will last long in primetime or if they’ll move it to daytime where all good game shows are. Yes, renew. It is great. Why is NBC not promoting more? !